Size: 19.5 x 6 cm / 7.7 x 2.4 inch. (LxW), do not take up space .4 colors for your choose convenient to carry for travelling. 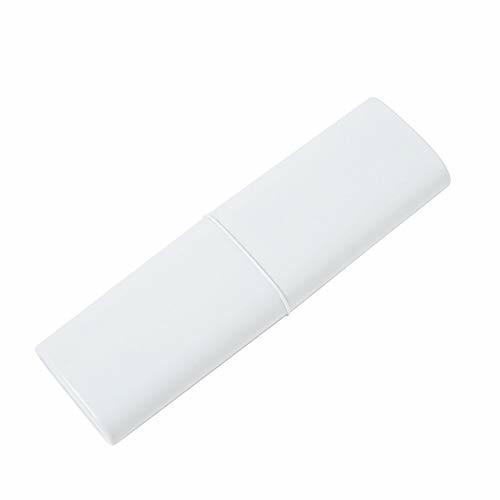 Material:PP plastic material, eco-friendly,light and durable, dust-proof, moistureproof and anti-corrosion, protect the toothbrush from deformation. 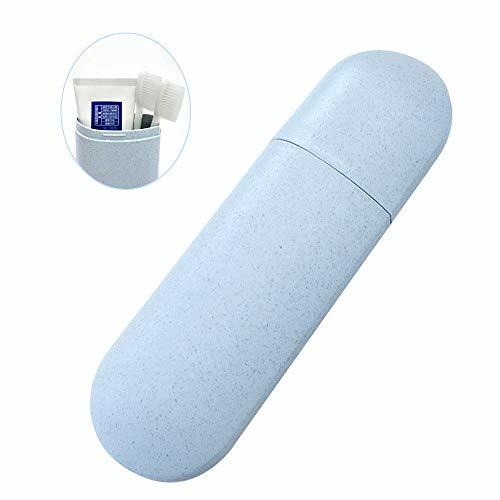 Can contain toothbrushes,Toothpaste , stationery, great choice for travelling, outing,business trip,etc. 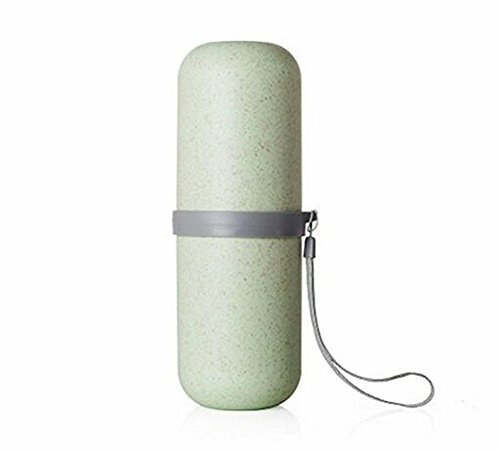 It can keep your toiletries clean and sanitary. Lightweight and portable ,Keep your toothbrushes clean and easy to carry when you are travelling. 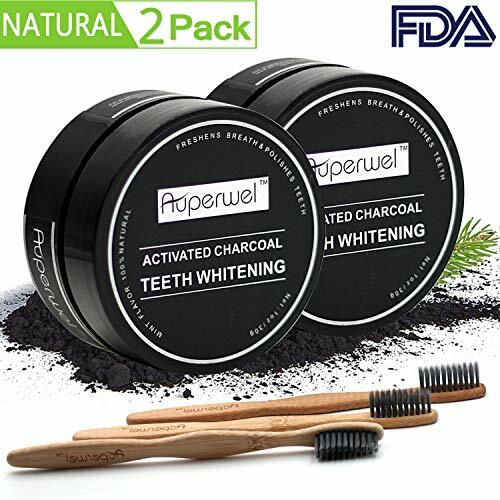 [The Material of the best Quality] PP plastic+Wheat Straw material, eco-friendly,light and durable, dust-proof, moistureproof and anti-corrosion, protect the toothbrush and Toothpaste from deformation. 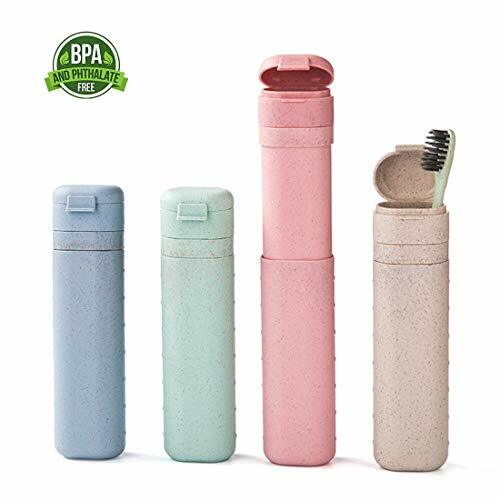 [Practical & Versatile] Toothbrushes Holder is ideal for contain toothbrushes,toothpaste, stationery,great choice for travelling, outing,business trip.for tooth cup When you travel. 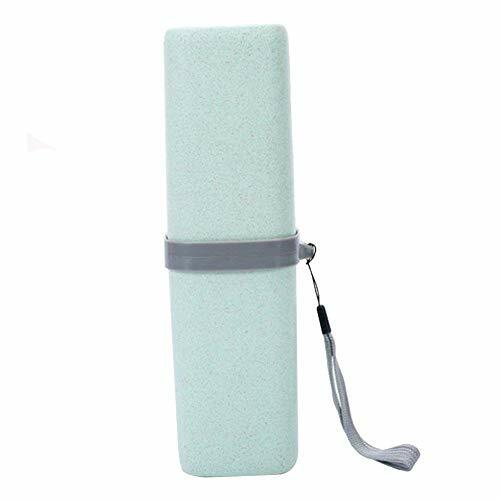 [Large size fit all] Measures: 2.2" x 7.8"/5.5cm x 19.7cm, large enough for toothbrush and Toothpaste,keep your toothbrushes clean, perfect gifts for any adults and children. 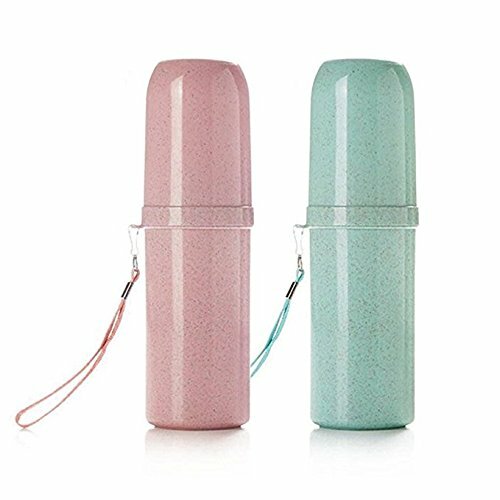 [Healthy & Safe] Round Corner design, will not scratch other items in your bag,Ideal for keeping toothbrushes hygiene and clean., it is very useful and convenient,Great for travel, home . [100% Satisfaction Guarantee] We care about our every customer, to provide better product quality, If you have any questions with the product please do not hesitate to contact us,YABUY serve for you with all sincerity. 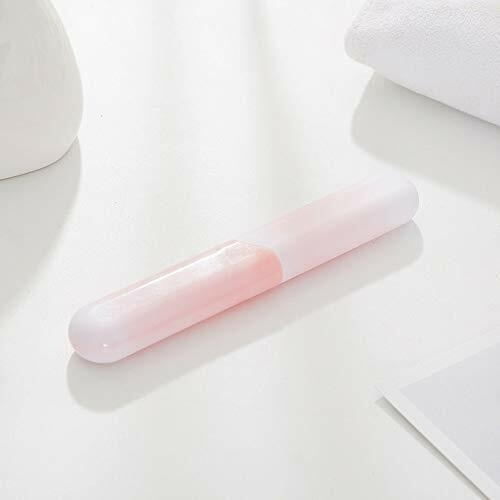 &#x1F389;MATERIAL:ABS plastic material, eco-friendly,light and durable, dust-proof, moistureproof and anti-corrosion, protect the toothbrush from deformation. &#x1F389; CLEAN and SAFE:Two-section design,keep your toothbrushes clean.Round Corner design, will not scratch other items in your bag. &#x1F389;HEALTHY:Each end has holes for ventilation,keep the toothbrush dry,healthy and antibacterial,assured the use. &#x1F389;DIMENSION:22x3cm (LxW)，do not take up space,4 colors convenient to carry for travelling. 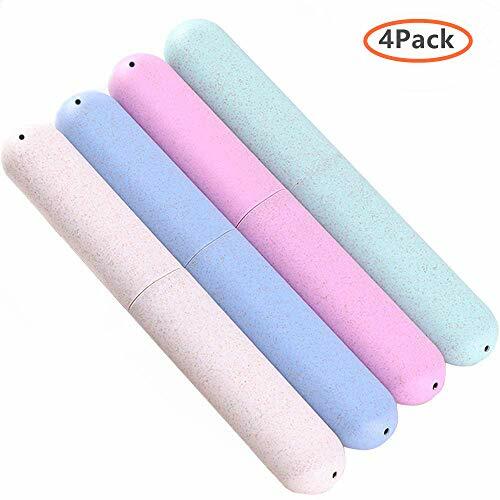 &#x1F389; PRACTICAL:Can contain toothbrushes, chopsticks, stationery, great choice for travelling, outing,business trip,etc.If you have any questions, you can contract us. Our goals are making you satisfied.We will try our best to solve your problems. 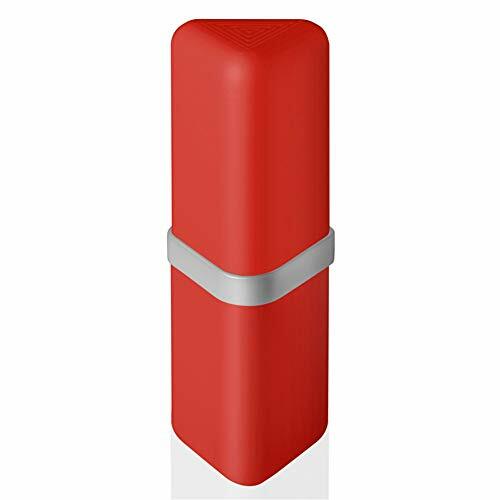 Material: ABS plastic material, eco-friendly, light and durable, dust-proof, moistureproof and anti-corrosion, protect the toothbrush from deformation. Hygiene and safe: Two-section design, keep your toothbrushes clean. 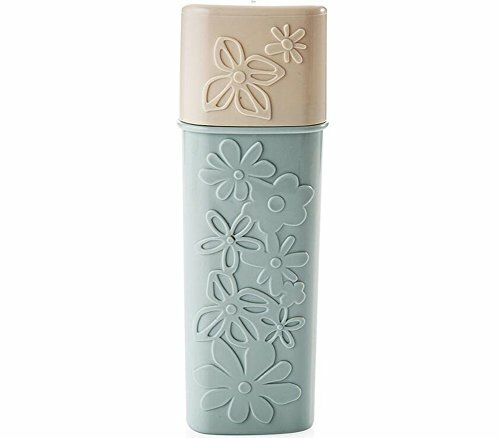 Round corner design, will not scratch other items in your bag. Healthy: With a small hole for ventilation, keep the toothbrush dry, healthy and antibacterial, assured the use. 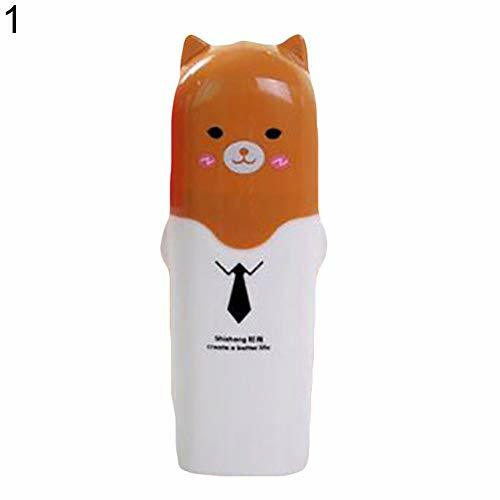 Size: Size: 20*6.3cm/7.68"*2.36"(L*D), do not take up space, convenient to carry for travelling. Six colors for you to choose. 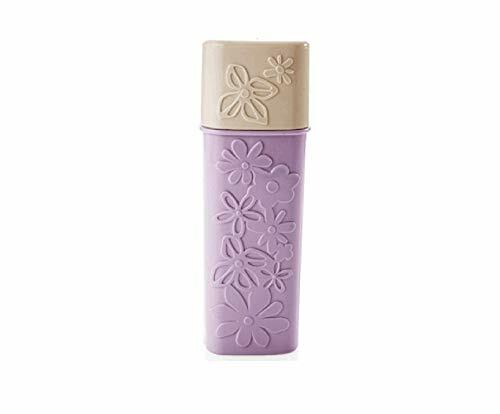 Practical: It can be use to contain toothbrushes, chopsticks, stationery, great choice for travelling, outing, business trip,etc. 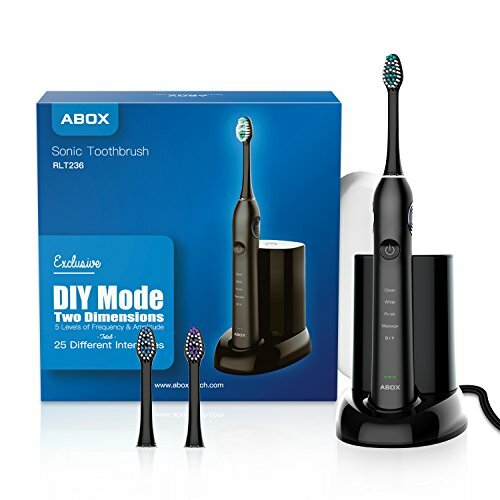 Can put 2pcs electric toothbrush head and one electric toothbrush in it, toothpaste can not be put in. Keep your toothbrushes clean and tidy. 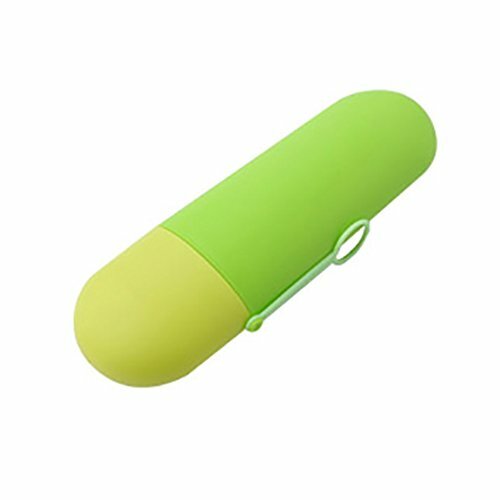 Compact size, convenient to carry, great for outdoor traveling use. Material: Plastic. Size: 21.5 x 8 x 4.5 cm. Material:wheat stalk；Size:8.3cm(diameter)*20.1cm(height);1 pcs per order. Durable&Portable: It's sturdy and won't easily break after falling to the ground. And it's so lightweight that you can carry it everywhere. Refers to the pressure button connection, can be placed two toothbrushes, a toothpaste and a small comb. Very convenient,portable,easy to use,Great for travel and camping. Keeping your tooth brushes hygienic and clean. Wheat straw material, healthy environmental protection, biodegradable. 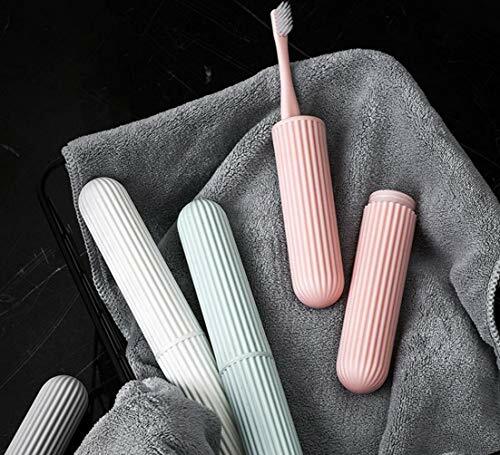 Ideal for keeping toothbrushes hygenic and clean. 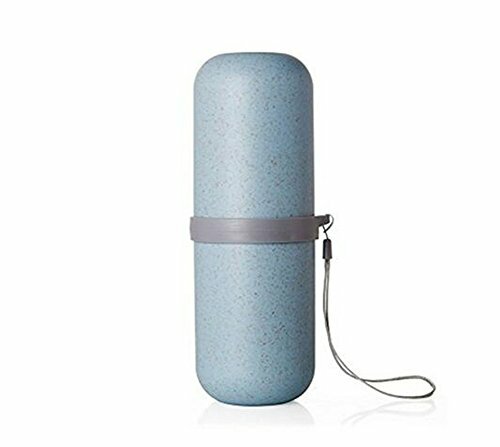 Big capacity, you can put your toothbrush, toothpaste and a small towel in it. Elegant and stylish, high-quality PP materials, environmental health. 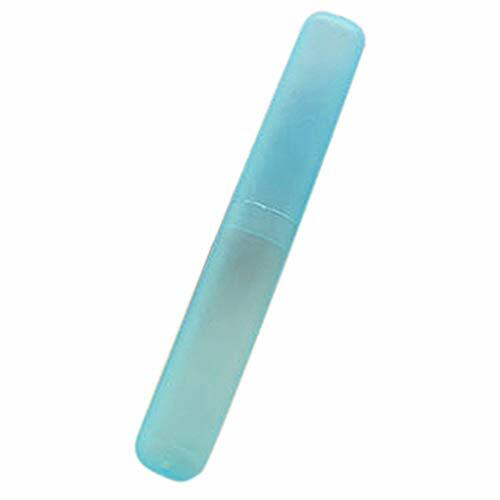 Can help you to keep your toothbrushes Toothpaste clean clean and tidy when you travel,Keep your toothbrush clean and tidy;keep it away from bacteria and dust. It durable;portable;sturdy;lightweight;it is very portable and convenient. Easy to carry.Suitable for travel, camping, or home;for outdoor activities, such as school, gym, PE,camping, hiking, day trips,etc use. 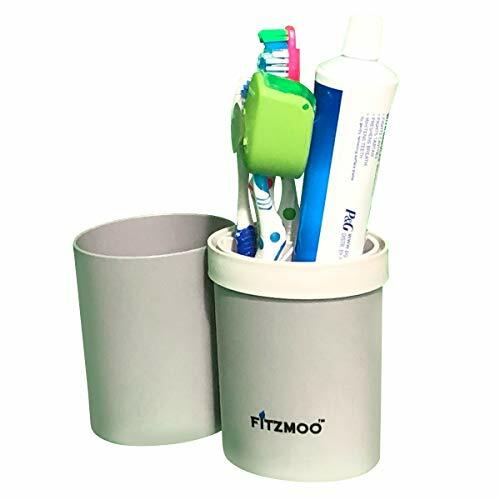 - [MULTIFUNCTIONAL] - Fitzmoo Toothbrush Holder with compartments Also can be used as an Gargle Cup and or an Cup to add water or any other liquid to Drink or Rinse purpose. 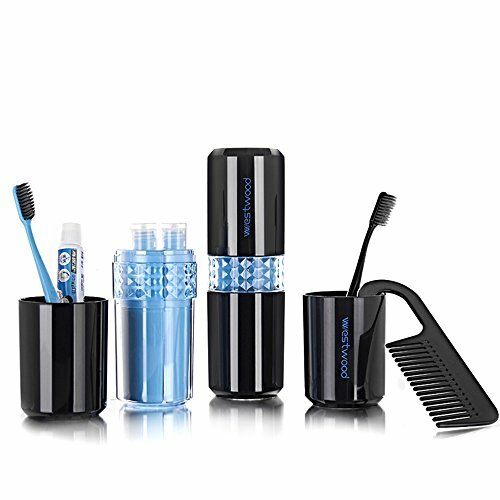 - [EXTRA USAGE] -Fitzmoo Toothbrush Holder has an internal space of 700ml - that's enough to accommodate 4 toothbrushes and a full tube of toothpaste while pieced together. 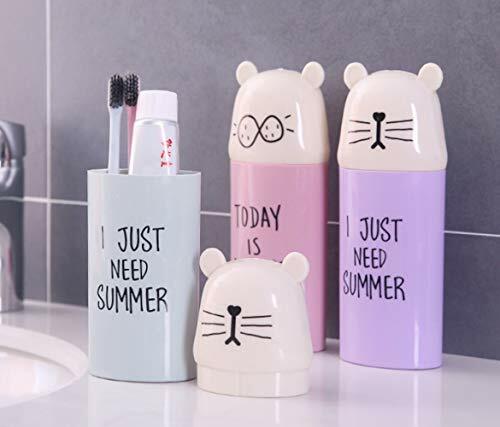 When split, it becomes 350ml x2 for more storage - Becomes 2 Toothbrush Holders so now you can accommodate 8 toothbrushes and 2 full tubes of toothpaste. 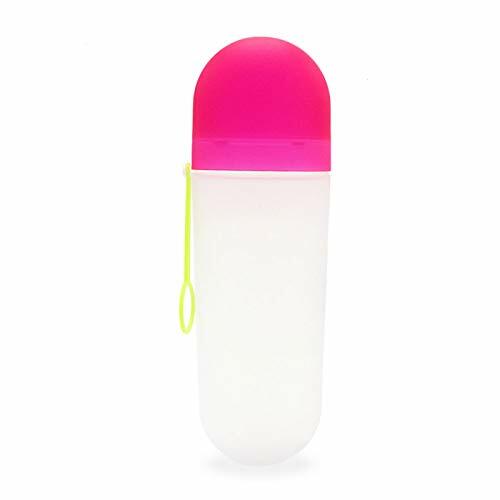 - [PORTABLE AND LIGHT WHEN MOVING AROUND] - When Toothbrush Holder is closed, It is able to make your traveling easy when transporting any type of Utensil within the 7.5 x 20cm range. - [Perfect Gift] - Perfect for College Students, Commutes, Travelers, Work Trips, and Movers. If you bring lunch to your Work Place, Outdoor activities, or Wherever you eat, It can also hold Utensils so you don't have to worry about Germs and other things that can be exposed to you items. ❤Multi-purpose - 2 in 1 bottle for tourism, easy to store toothbrush and toothpaste, you can also use the them as gargle cup or water cup. 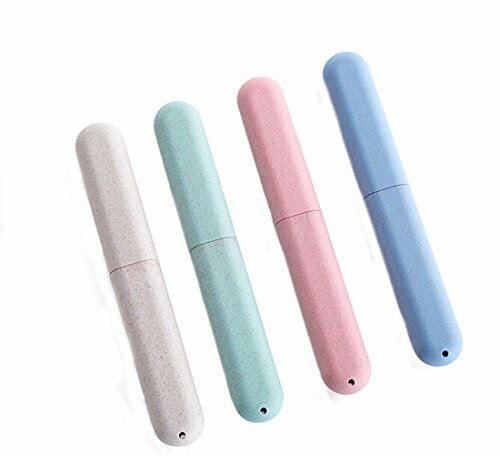 ❤Material of the best Quality - Made of high quality PP material, eco-friendly, non-toxic and odorless, good sealing, not easy to breed bacteria.durable and space-saving. 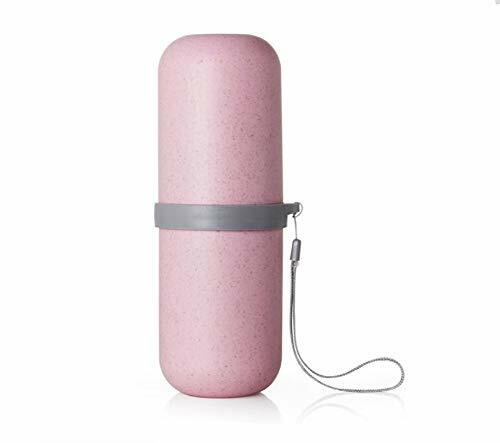 ❤Enough storage to put toothbrush and toothpaste in, featuring Solid Color design.simple and stylish. Made of environmentally-friendly PP material. It is non-toxic and tasteless.It can be used safely. Plain and elegant color, the surface three-dimensional pattern, beautiful and generous, bring you visual enjoyment. 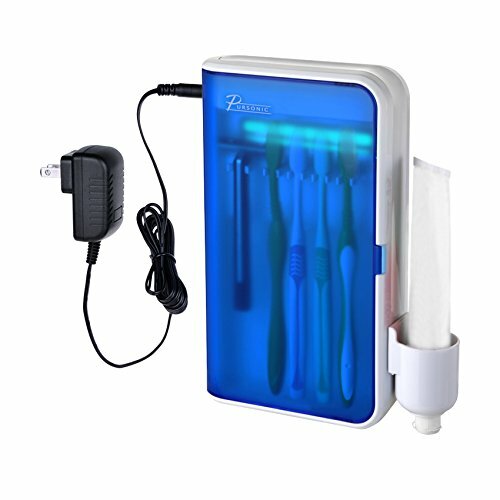 Designed to hold 4 toothbrush heads, 1 charger and 1 Oral-B Electric Rechargeable Toothbrush . It's the perfect solution to hold your toothbrush heads and charger. 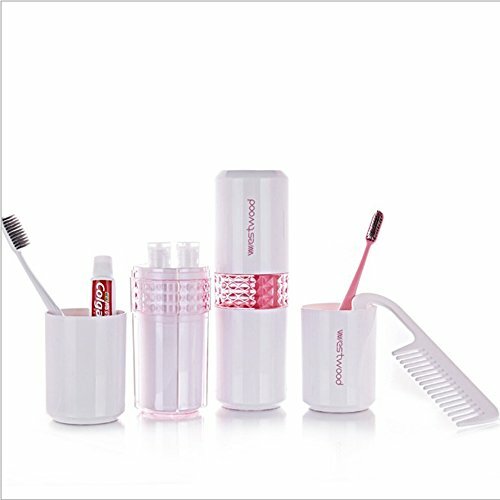 4 covers for toothbrush heads included in package. Thanks to the protective case, dust won't be a problem anymore. 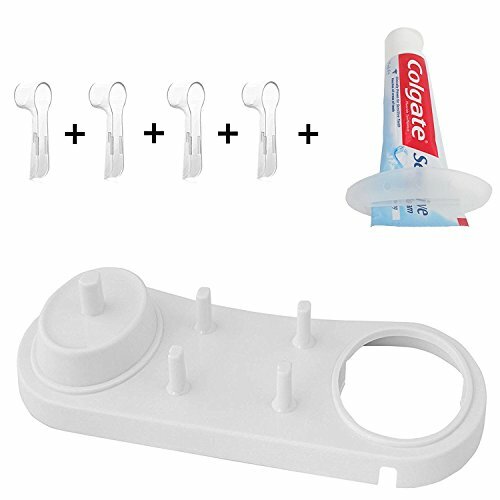 Note :1 Tool for squeeze toothpaste( NOT INCLUDE TOOTHPASTE) . 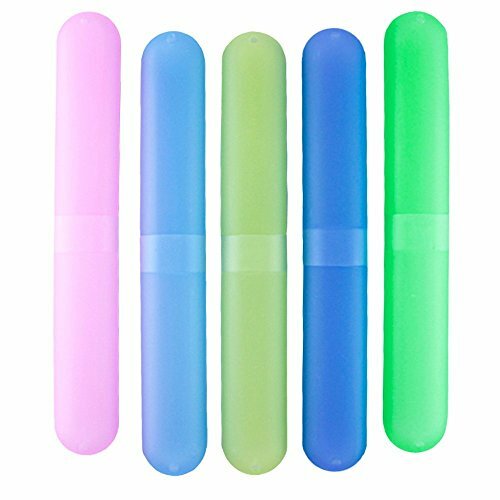 Size- Each toothbrush box is 8.3" x 1.2" x 0.8", a set of four colors: green, blue, beige, pink. 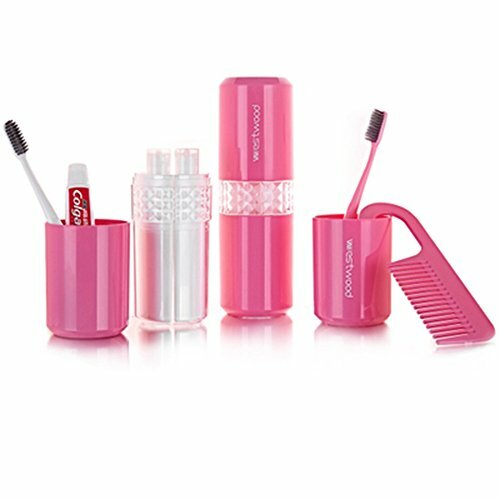 These toothbrush and toothbrush cases are perfect for daily, travel, purse, and briefcase. 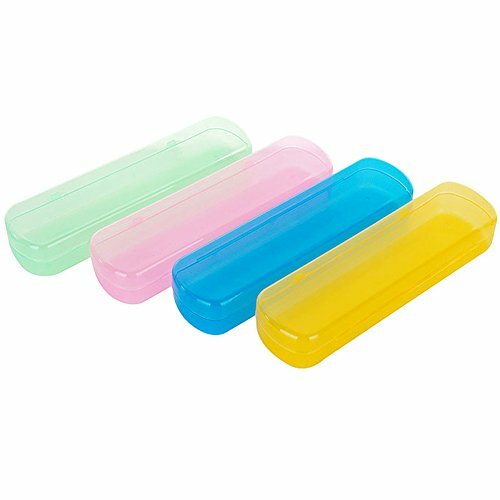 They are easy to carry and keep your toothbrushes clean. 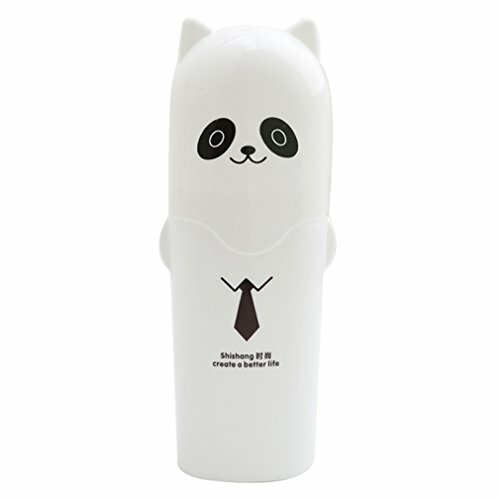 Updated Mode - The body of the toothbrush case is stretchable(14.7cm-24cm), it's easier to hold different size toothbrushes. Updated Capability - More space provide more possible, multi-functional storage case provide more convenience in daily life. 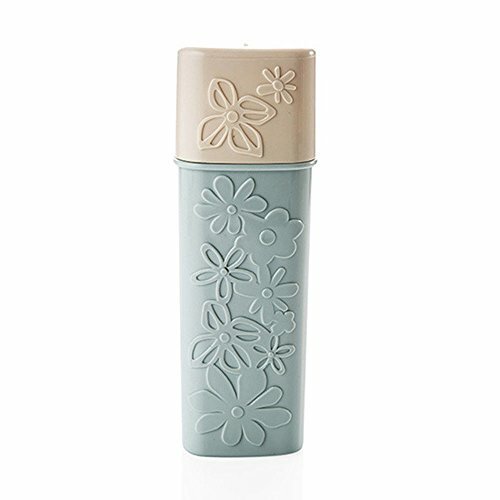 Eco-friendly Material - Made of high-quality and safe PP material (Natural straw) which is degradable, odorless and harmless. Air Hole Design - Featured with a air hole at the bottom to keep the case dry and clean all the time. 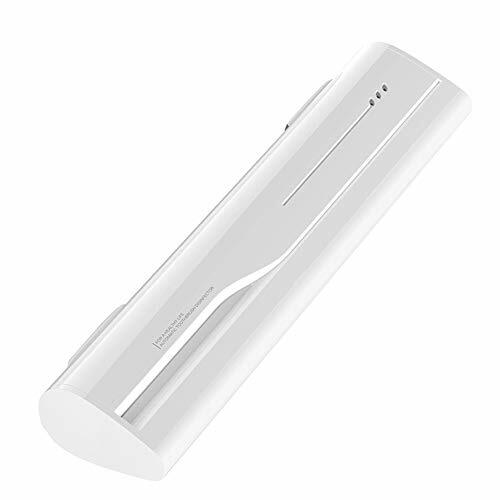 Portable and Light-weight - Definitely a good choice for travelling or business trip. Lightweight, Convenient.Buckle seal, good sealing performance. Keeping your toothbrushes hygienic and clean. Easy to carry, great for outdoor traveling use. Each head with an air holes, prevent bacterial growth. 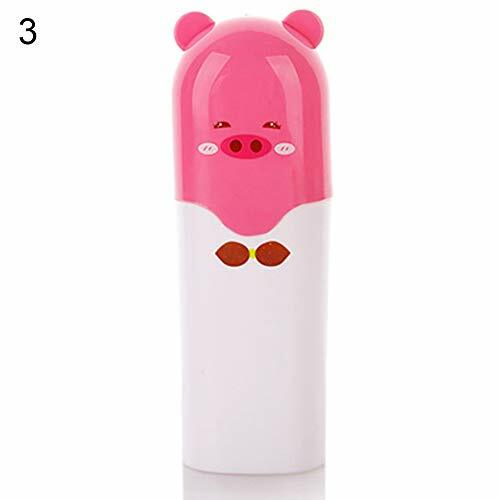 Can put 1- 2 pcs ordinary toothbrush, toothpaste can not be put in. 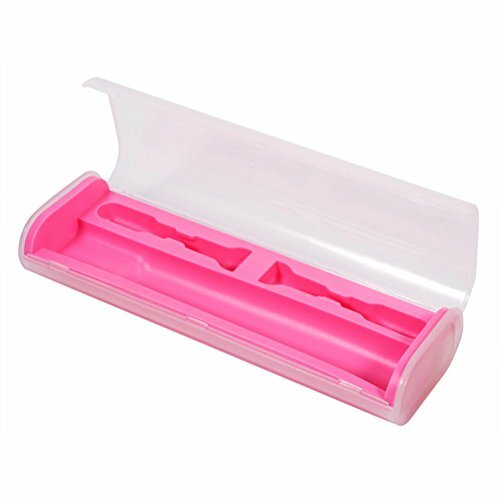 Travel toothbrush case, made of high quality plasticsuitable for travel-sized toothpaste and standard-sized toothbrushes. 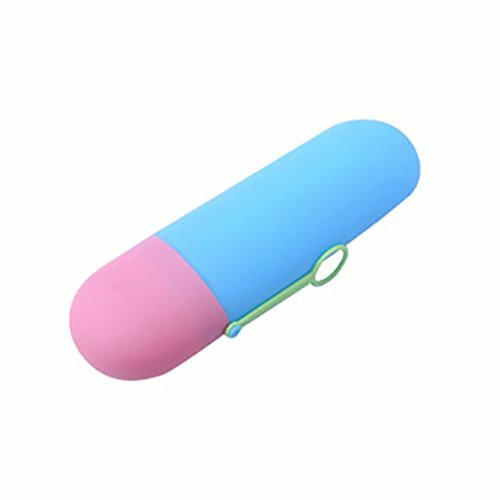 Size: 7.8" * 2", small size, easy to carry, does not occupy the storage room of the bathroom counter. The case has a hooked rope for easy storage. 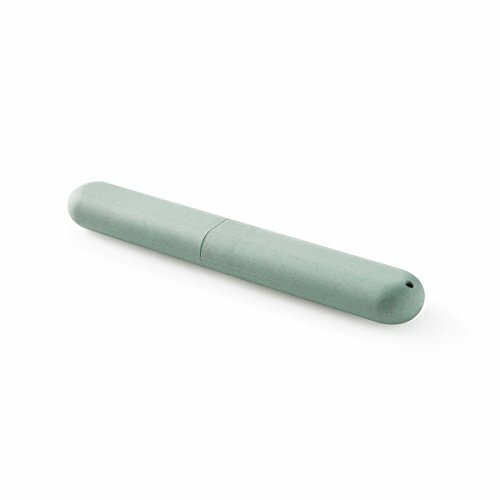 The tube fits easily into most suitcases, purses and backpacks. Use a toothbrush and toothpaste to travel hygienically in this travel toothbrush storage container to keep your smile healthy. 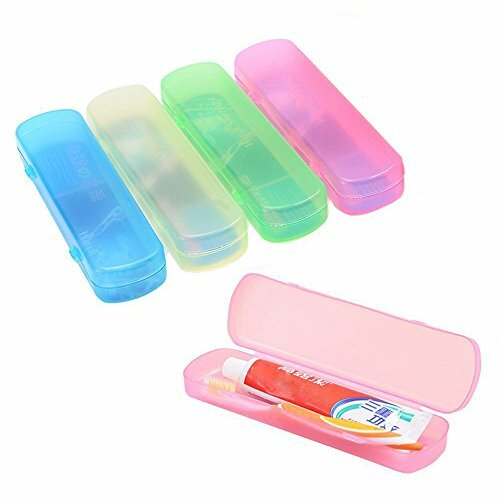 If you plan to travel recently, then you can start such a toothbrush box, super stylish, also a very attractive, and most importantly convenient. 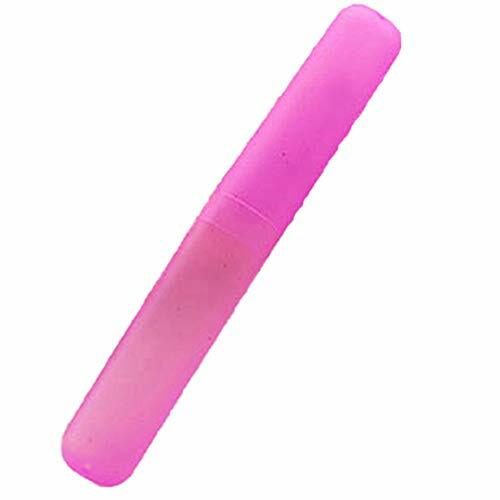 MATERIAL: Wheat straw + plastic, eco-friendly,light and durable, dust-proof, moistureproof and anti-corrosion, protect the toothbrush from deformation. 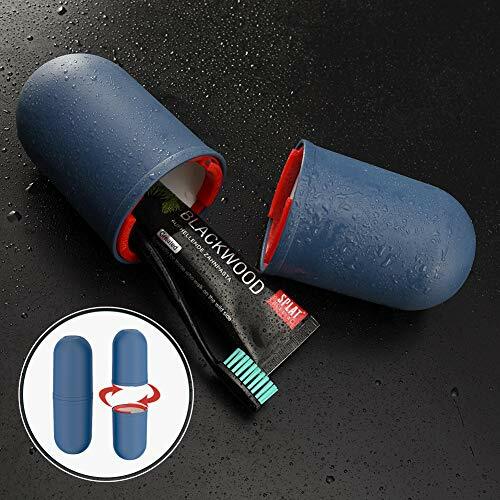 HEALTHY: One end has holes for ventilation,keep the toothbrush dry,healthy and antibacterial,assured the use. DIMENSION: 8.3 x 1.2inchs (LxW), Do not take up space convenient to carry for travelling. PRACTICAL:Can contain toothbrushes, chopsticks, stationery, great choice for travelling, outing,business trip,etc.